Kowhai Painting Company Limited have done an excellent job on the work carried out in the preparation and finishing on the galvanized iron roof on our house. I would recommend them to anyone for their approach to a client like myself in keeping one informed at all times. I would have no hesitation in having then return if further painting would be required. I am reflecting on the painting you carried out on the house (2001 Fletcher Home) last week. Firstly your prompt reply to my inquiry via your website ensured we were off to a good start!! Your attendance to supply a quote (initially for barges and fascias) was equally as prompt. Next the quote itself was very reasonable. Your attendance to complete the job, and thoroughness, was spot on, and completed on time. The initial job, as you know, resulted in the decision to paint the whole exterior, which was Harditex, using Resene paints. Again a wonderful, clean exact job, completed on time plus a couple of extras not quoted for such as the downpipes and garage door lintels, and the front door step. No need to look for another painter, Yeah! 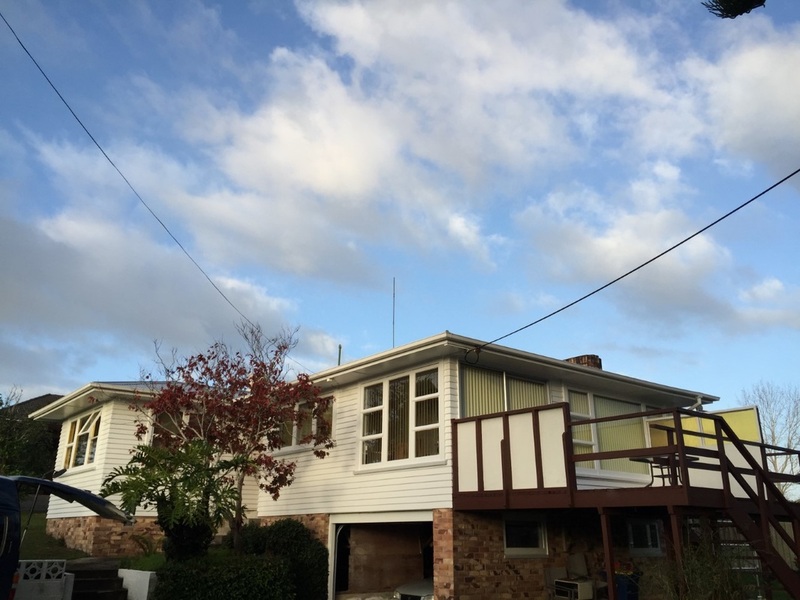 This is a recommendation to say that the Kowhai Painting Company has done an excellent and most professional job on my home. The job description was to repaint the one side of my house and window and I am extremely happy with what they have done. I will most definitely have them back at a later time for other work that will be needed. I would suggest anyone wanting professional painters- The Kowhai Painting Company are the people to contact. I recently had Kowhai Painting Company do some paintwork of my door frames, skirting boards, window sills, and staining of my stairwell banisters. They were very reliable and efficient. The workmanship was excellent. ​I would be happy to recommend them. Recently Kowhai Painting Company Ltd painted a 1990 house. On completion of the contract it has become a modern and attractive family home. I have found the owner and his team willing to provide advice and excellent workmanship. It was a pleasure to have them working with me. My husband and I recently had the Kowhai team in to paint outside our house. We would like to say a BIG thank you to Nasser and team for doing an awesome exterior job on our home. I chose the Kowhai Painting Company based mainly on previous testimonials. Having met Nasser, Peter and Jayden I do not regret my decision. We recently had Nasser and his team complete interior painting and gib-stopping for us in our kitchen and living areas as well as our stairwells and entry way. Nasser is prompt and professional in his communication, always turning up on time and clearly communicating what work would be completed each day. His team of painters are trustworthy and easy to have around, and always tidied up at the end of each day. We are very pleased with the standard of work, and would not hesitate to recommend Kowhai or to use them again for any future work. We would recommend Nasser and his team from Kowhai Painters very highly. This is the second time they have done painting work for us and we couldn’t be happier as their work is excellent. They are totally reliable; arriving when we are told they will, doing the job in the time we’re told it will be done, and leaving no mess whatsoever behind them. This is a highly organised team and it is a pleasure doing business with them. We wouldn’t hesitate to call on them again. 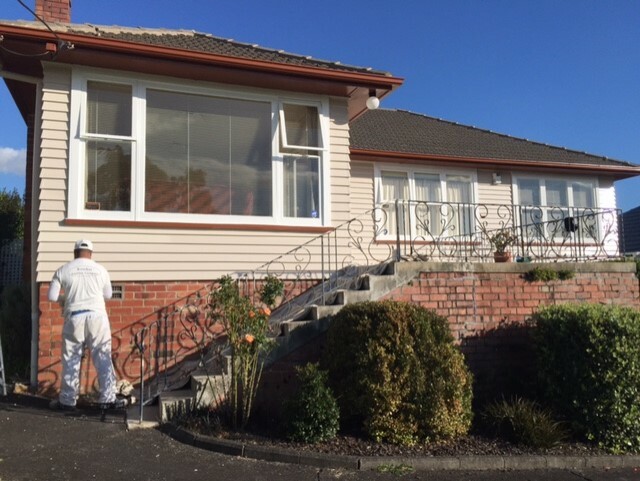 Kowhai Painting Co have completed painting my house externally, under the leadership of Nasser. I am delighted with the care and attention that they put into their work. ​I am so pleased with the finishing job that i have no hesitation in recommending them to others and also using the Company for future jobs. Thank you so much for the recent work you did on our house. We really did appreciate you and your team being so prompt and communicative throughout the project. The results really do speak for themselves and we are very happy with how good our old house now looks. We've already had a few people ask who we used and we are very happy to give them your details. Having recently had the exterior of my house painted by the Kowhai Painting Company Ltd, I fully recommend without any reservation their workmanship to complete a most satisfactory result. 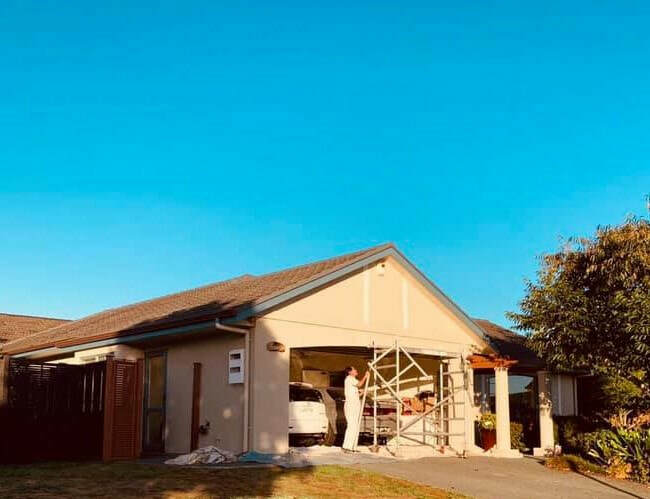 I have recently employed Kowhai Painting Ltd to paint the exterior of my house and I am very pleased with the outcome. They are true professionals! The tradesmen are careful, efficient and very thorough indeed; I can totally recommend them. We can recommend this company for an excellent job for the exterior of our house. All painters were hard working , and pleasant to have around and all done in double quick time! A big thank you to Nasser and the team. Our weather board house was completely stripped to the timber, on top of that very thorough preparation of sanding, priming and quality painting over a short period of time. Regular communication during the painting process, with a very pleasing satisfactory result. Nasser and his team at Kowhai painting have just completed an outstanding job on our home in Devonport. We could not be happier. Over the last couple of years Kowhai Painting have painted homes of our family members and friends who are also delighted with the results. The costs have always seemed reasonable. His work is always to a very high standard. Nasser and his team always do what they say they will do. Turn up when the says they will. They are polite, tidy and well mannered. Nothing has been too much bother. Repainting a room when I did not like my colour choice to completing small fix it jobs have all be done cheerfully and well. I would recommend Nasser and his team at Kowhai without hesitation. All components of the process were impressive. When we were looking for a painter to paint 3 rooms in our house, you were recommended by some of our friends. Joe assessed and quoted for the work at short notice. He seemed to be very experienced and took great care to check what we wanted. Joe gave very useful advice about types of paint and colours. He expressed great confidence in your abilities. The quotation was provided promptly and at a competitive price. You were very helpful in fitting our job in around other commitments for your team. We appreciated your professional, friendly and helpful approach. You provided a team of painters who were very respectful, pleasant and skilled. Preparation and painting of the walls, cupboards and ceilings was very precise. Old gaps and flaws in the wall were carefully evened out, filled and sanded. The team worked quietly and efficiently. They cleaned up carefully at the end of each day’s work and were meticulous in clearing away all debris when the job was finished. We appreciate that you checked regularly on progress and carefully inspected the finished work with us to ensure that we were happy. The finished paint work is excellent. We are delighted with the result and happily recommend your team to any prospective client. We will definitely request your company for any further painting jobs. Please feel free to use us as a reference - we believe that excellent craftsmen should be acknowledged and recommended. Thank you again and very best wishes for you and your team. I would like to thank you for the fantastic paint job you all did on the exterior of my home and the way you treated my mum. I would recommend you to anyone who wants their home painted. Thank you very much. You and your team did a great job painting all the interior walls of our new four bedroom house and all the ceilings. We were impressed with the neat and tidy work and your professionalism. It was reassuring to receive your daily communication about progress. We are very happy with the finish and would recommend you to anybody who needs a skilled expert to paint their home. A big thank you to you and your team.They painted the block base and all wooden joinery on my house.Nasser communicated well with regard to the job and its progress. The end result was excellent,with attention to detail and speedy results ,with very little disruption to myself. I would recommend Kowhai Painting without hesitation. Just a note to say that I am very pleased with the final result of the painting of my entrance hall and stairwell. The team worked quietly and unobtrusively. I was kept informed of the progress regularly. They tidied up well when they were finished and I can recommend their workmanship. My entrance hall now looks very smart! Thank you for the prompt and excellent painting job your team did getting my house ready for sale. They were very professional and I was impressed with how clean and tidy they worked considering the house was fully furnished. I will be recommending you to friends and family and wish you all the best for the future. I wish to congratulate the painters Nasser and Team, who painted our structural poles at our Centre. The job entailed a lot of minute detail around stainless steel bolts and this was done in a very professional manner. Nasser worked in collaboration with me at all times and was a pleasure to deal with, furthermore I would have absolutely no hesitation in recommending Nasser to any business who needs a professional painter. I would certainly use this service again. I would like to thank you for the excellent job. The communication leading up to the job was excellent, and when on the job your team worked efficiently, took extra care to ensure a good result, with little disruption to ourselves. And the clean up was most impressive, as everything was tidied away, or put back in place - we'd wouldn't have know you'd been except for the great new paint work. Our sincere thanks for a brilliant paint job on the two ceilings. We are really pleased with the result. Your workmen, Peter and Luca, worked extremely hard to achieve a very high standard. They were well organised, fast, most thorough, efficient and courteous. In fact, excellent all round. In addition, our home was left clean and tidy. We have absolutely no hesitation in recommending you and your team very highly. 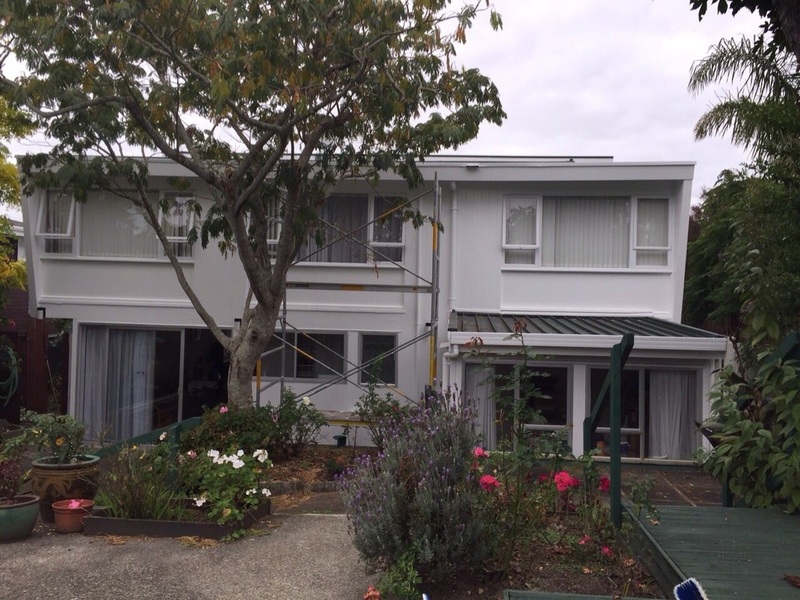 We contacted Kowhai Painting in April 2013 with regard to redecorating the exterior of our home in Oratia. We were impressed by the speed of the response to our request and with the price quoted, and instructed the work to go ahead. Nasser and his team did a great job, and were extremely helpful in accommodating our requirements and programme. The guys were always punctual, reliable and trustworthy, and our satisfaction with the finished job was such that we engaged them to completely redecorate the interior of the house. We have no hesitation in recommending Nasser and his team. May we take this opportunity to thank you for all your hard work and great results? You have transformed out home into a thing of beauty! Consequently, we would like to recommend you and the Kowhai team to others. You were all faced with a horrible task- our home was in need of a good lick of paint and a tidy up, and you have done us proud. You did a wonderful job with the water blasting – and our gutters are gleaming. You did an incredible amount of preparation and sanding, to ensure the walls were ready for paint. You then did a fantastic job of painting our home. We could have never imagined that would have looked so good, so quickly. This was all done with a minimum of fuss, and a maximum of effort by you and the team. You stayed in touch with us to let us know when you were going to arrive. You were keen to get our feedback on the job as it was being done- which was greatly appreciated. You always turned up when you said you would. There was a complete lack of mess- which was amazing, considering the huge quantity of paint needed for our house! You all worked incredibly hard, put in a great days work when you were with us and worked really well as a team. You worked around the horrible weather- only painting when you could, but always ensuring that you were there when the weather was good. Your quote was competitive and comprehensive- we knew exactly what we were getting, and were comfortable that you would deliver what you promised. And you did exactly that- you delivered a top quality paint job, and we’re very glad that we chose to go with Kowhai. We are more than happy for you to use this letter to show to potential customers- would be very happy in whole-heartedly recommending you to others. Similarly, we would be delighted to ask for your assistance again when we next need a painter. Once again, many thanks for a great job! 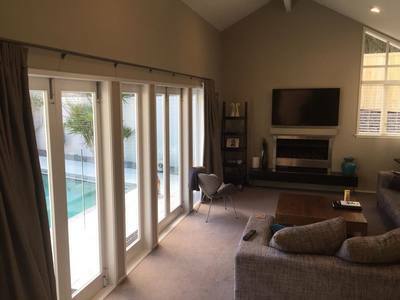 We recently employed Kowhai Painting Company to prepare and paint the interior of our two bedroom unit which is situated in a Retirement Village in Massey. Nasser Nassery the Managering Director and his painter Peter displayed a very professional attitude to the project in hand, and kept the disruption to our daily life to a minimum. The quality of the workmanship was first class, and we have no hesitation in recommending them to anyone who wants assurance of a job well done. Early 2012 I engaged Kowhai Painting for exterior painting of our house in West Harbour. In my experience, having owned and maintained several houses over many years, this paint job was as good as it gets. The painters took pride in their work and were meticulous in their approach. Nasser, the managing director, was a lovely man to deal with and professional in his handling of the job. He was often on hand to ensure that the highest standards of workmanship was met by his painters and going that extra mile to achieve customer satisfaction. I have no hesitation in recommending Kowhai Painting for any exterior painting work. Thank you very much for you and your great team efforts in ensuring that the required work done on the property was of a high standard and with very little or no disruption to the household. 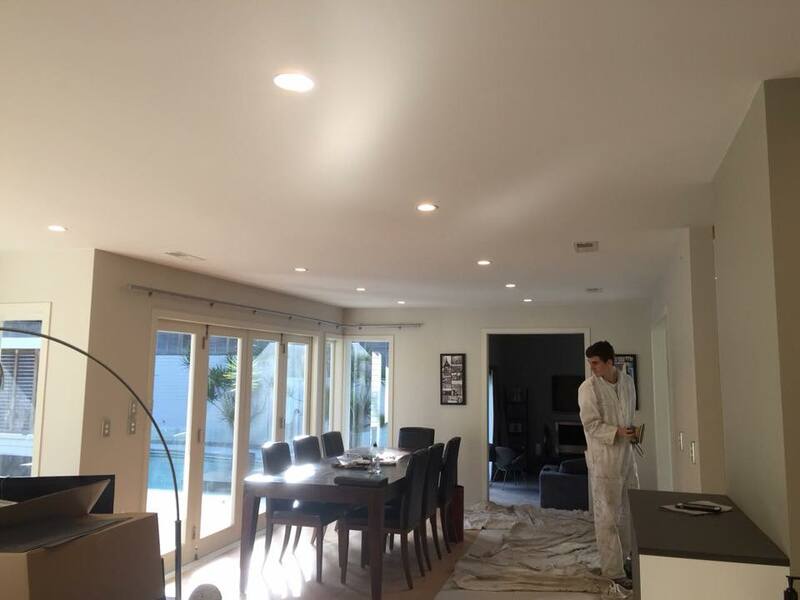 From the time that Joe arrived to assess the job and supply a quote was done proficiently and professionally and also from the time your team arrived till the job was completed and a final walk over of the job was done. The boys worked hard here every day on the site (James and Peter) you can be very proud of the way they went about their business ensuring a high standard of workmanship. Sandy and I would be happy to recommend your company to family and friends and will use your company for future painting requirements. We just wanted to thank you and your team for the great job you did in painting our Devonport apartment throughout. The quality of the workmanship is first class and your painters were friendly, helpful and professional at all times. 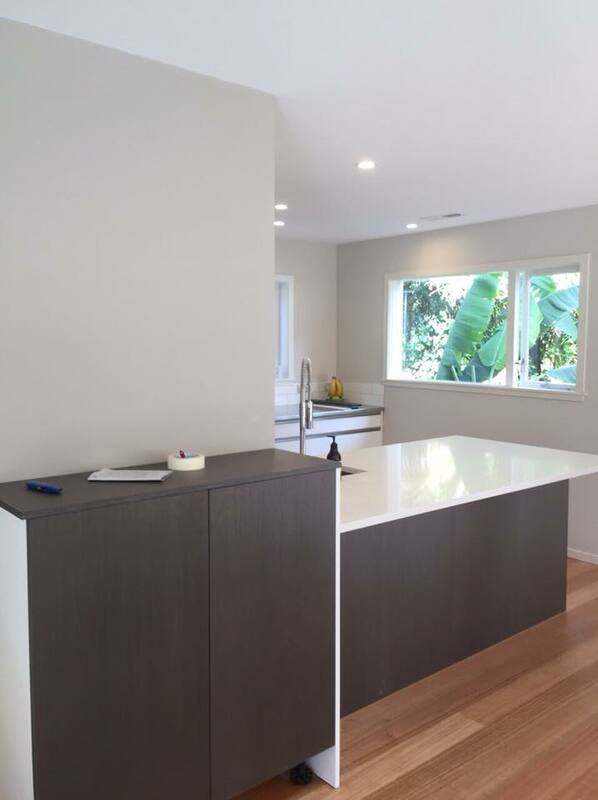 We would strongly recommend the services of Kowhai Painting Company. Virboc NZ Ltd decided about a month ago to paint all our internal offices and phoned Kowhai Painting Co. to give us a quote. Nasser from Kowhai presented himself the following day and gave us a quote on the spot. The quote was accepted by our company a couple of days later and the work began within days. We found that Nasser and his team were very accommodating, working in confined spaces and working around office staff with little disruption. The hallways were covered with matting as to avoid paint on the carpets. Nasser and his team also worked on the weekends to further minimise staff day-to-day workload. The account also came promptly and the job was completed within our time frame. 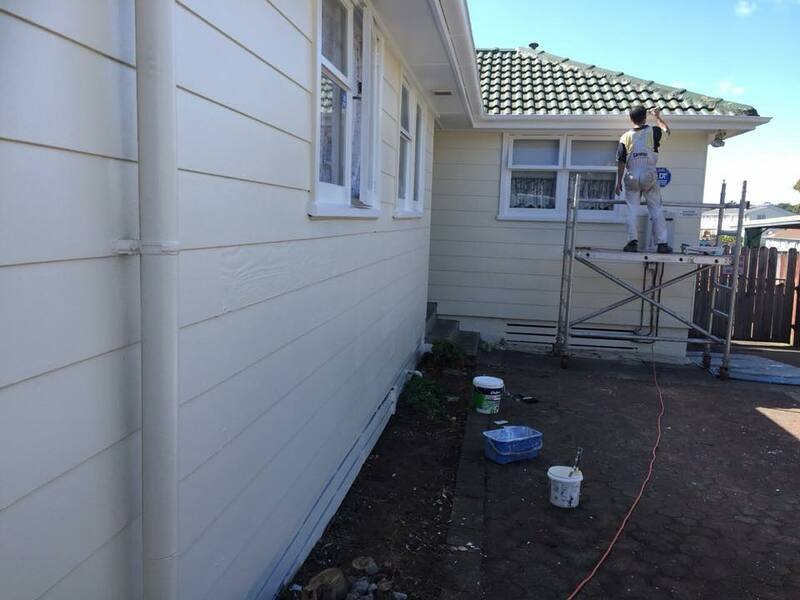 As Virbac NZ Ltd was happy with the work performed we also asked for a quote to paint the outside of the building. This was also accepted and work has already begun. 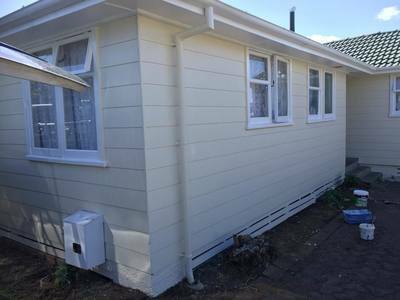 We have been using Kowhai Painting as our painting subcontractors since October 2009. We have found over this time that all painting work has been completed to a high standard, as well as on time and within budget. They have to date completed a full exterior repaint, 2 x full interior repaints, as well as some minor repair work. Nasser and his team have been courteous, kept us fully informed of all progress, and have always left the sites in a tidy condition. We would be happy to recommend them for any painting job. My husband and I asked Kowhai for a quote for internal as well as external painting of our home. We had rung a number of firms to get several quotes. The only firm to respond promptly was Kowhai and we made the decision to go ahead. We never regretted that decision. From the first visit by Joe to completion of the work, we were treated with respect and kept fully informed about when to expect the team especially while working on the exterior when the weather did not always cooperate. Each of the painters employed by Nasser Nassery, was pleasant and nothing was too much bother to ensure we were satisfied with their standard of work. Nasser personally visited regularly to ensure everything was in order. We are extremely pleased with the results they achieved especially since the ceiling of our living room was the worst they'd had to clean in 15 years! It is now in pristine condition! Our thanks to all the Kowhai team! 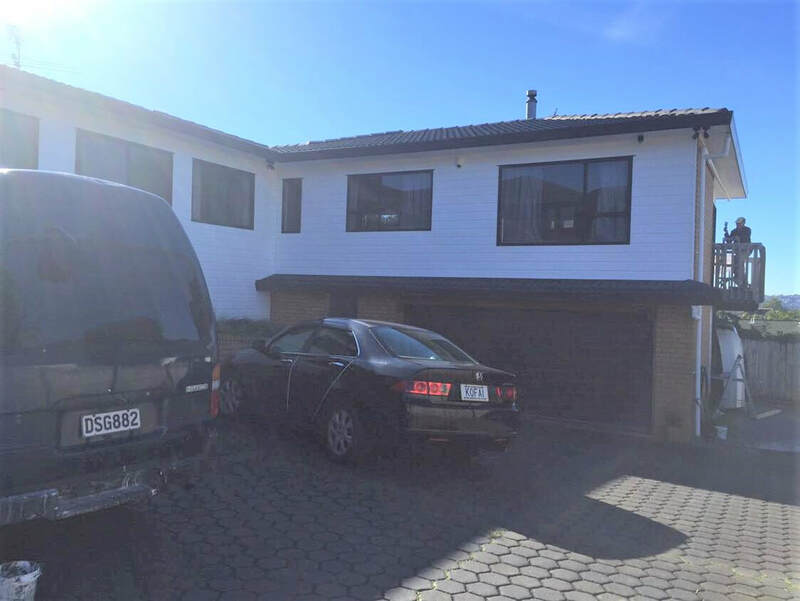 I have worked with Nasser Nassery of Kowhai Painting Company on two occasions in 2009 to paint the exterior and interior of our substantial house in Orewa and to drain the water from a feature at the front of the house and paint the surrounding area. I have found all work to be done to an excellent standard and was able to carry on about my business while Nasser supervised the entire project. This is a company of skilled and professional craftsmen who take pride in their work and treat the client and the property with respect. All work was completed on time and when I was under time pressure with the interior painting Nasser was able to enlist extra workers to complete the project in a timely manner. The attention to detail such as getting the correct paint colours and mixture was excellent as the house colour was not readily available in the shops and had to be sourced and mixed. Nasser’s workforce were very professional yet friendly and ensured that there were no broken items in the house and that the premises were left clean and in good order each day. I was also able to trust Nasser with possession of my house keys to enable access while I was not on the premises. Any touch-up work or concerns were quickly addressed. All the basic preparation work before painting was done well and thoroughly. I would gladly use this company for future repainting of our house and feel fortunate to have discovered them. I am writing this reference for Kowhai Painting Company, who recently painted the interior of the play area of our preschool. From the first contact we had with Kowhai, from quote through to the final day of work we have found the team to be efficient, professional and very helpful. We dealt mainly with Nasser, who I found listened to our needs, shared advice and experience and consulted us throughout the process. The work that the team did is fabulous! We are very pleased with the high standard of finish and our final result. Nasser, we wish to thank you and your team for a qreat job! I employed the services of Kowhai Painting Company to paint a house at 35 Rocklands Avenue, Balmoral, Auckland which required a lot of preparation due to the state of the existing paintwork. The quote to do this work was very good and the work done by Nasser and his team could not be faulted. Throughout the whole process I was kept up to date by Nasser and the work was done promptly and to a very high standard. I would have no hesitation in recommending Nasser, Joe and his team and will definitely be using them in the future. Our school hall was desperately in need of painting and the floors needed resurfacing. The hall had never been painted and was extremely dark and uninviting. When we asked Kowahi Painting for a quote Nasser was extremely helpful in suggesting colours that would work well together and giving the information that was needed to ensure a high quality finish. I was particularly impressed with the attention to detail that was given throughout the process. Out school hall as a result looks attractive and inviting. The staff and children were amazed on entering the hall for the first time with its spaciousness and the fact that it was so light. Thank you very much for the professional manner in which you undertook the job and also for the high quality of the work done. I have no hesitation in recommending Kowhai Painting to other companies or schools. Kowhai Painting Company Co Limited recently painted the outside of our workshops in Morningside, Auckland. We found them to be honest, professional and above all went about their work causing little or no disruption to the day-to-day operations at our business. Their standard of workmanship was exceptional and the end result exceeded our expectations. We have no hesitation in recommending Kowhai Painting Co Limited. We recently purchased a house which was badly in need of exterior decoration. We obtained three quotes for the job and chose Kowhai Painting Company. 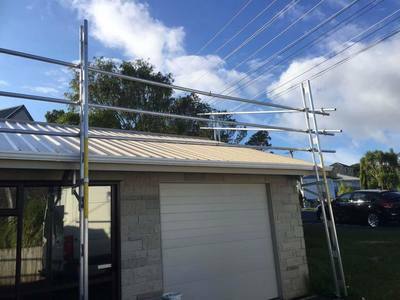 Not only was their price competitive but was fully inclusive, whereas the others did not include the pre-wash or scaffolding and we would have had to arrange this and obtain additional estimates. Having accepted their quote, Nasser himself came to give us advice on the type of paint needed and came with us to the supplier to select the colour. A crew arrived to do the job and Nasser made regular visits to supervise and check the progress of the work. We also found Mike very helpful and any questions could be addressed to either of them. The crew were courteous and efficient and we were very pleased with the result. 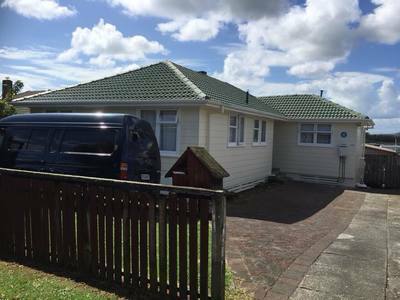 We have had complimentary comments from neighbours and visitors, and would have no hesitation in recommending Nasser and the Kowhai Painting Company. 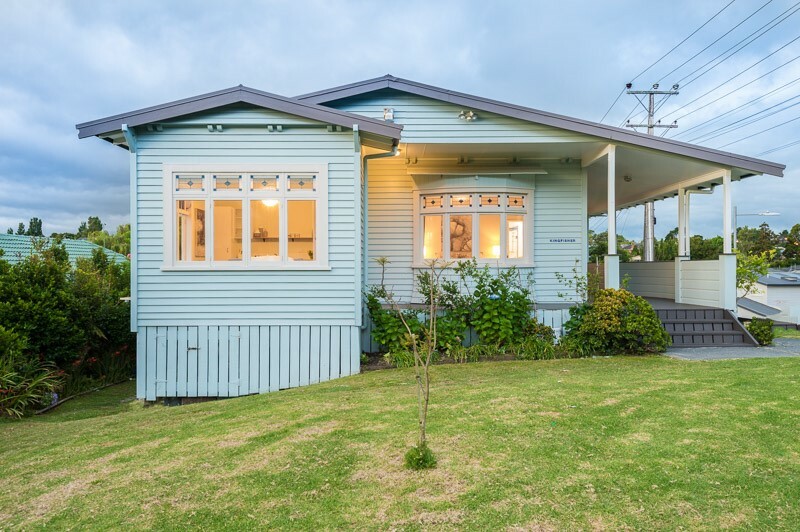 Kowhai Painters recently completed a large 1930’s bungalow style in Parnell for me which should have been painted sometime previously and was therefore a challenging project. Nasser and his team are good communicators giving clear direction when required to ensure the job was completed professionally, while respecting and accommodating the wishes of the client. Nasser was very aware of the deadlines he has set and put on extra staff where required to make the best use of the stage of the job and the weather conditions. The house that was painted was tenanted throughout and Nasser was very good at handling the inevitable disruption in a friendly manner. The house now looks fantastic and will be gracing the neighbourhood for some yet. One final point: at the outset of the job I was concerned that I was not able to get a substantive workmanship guarantee from either of the two major paint companies and was told by Nasser that it was his “personal guarantee” I should rely on. At the conclusion of this job and having experienced the professionalism of the team at Kowhai he has proven to be right! I look forward to working with Nasser again and will be recommending him to my friends. We contracted Kowhai Painting Company to paint the full exterior (including a 12 foot-high hallway ceiling) and double garage of our Pre-1914 villa. The property had seen better days and required very intense pre-paint work for holes, gaps and missing putty in some windows. 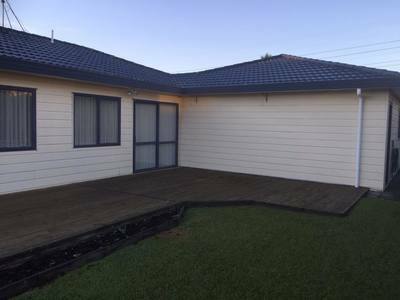 This was done with expert quality and efficiency as was the painting to the roof, fences and the remainder of the property including the front verandah and the back deck. To say we are satisfied with the excellent job done by Nasser and his team would be an understatement. The finished result far exceeds our expectations and we are thrilled with the look of our “new” home. At all times Kowhai Painting Co have treated us with respect and courtesy and have impressed us with their workmanship. We would not hesitate to employ Nasser and his team again and thoroughly recommend them to anyone looking for efficiency and quality with their future painting projects. Over the past couple of months I have been coordinating a refurbishment project for our local community hall. A large part of this refurbishment has included the re-painting of the interior and exterior of the hall along with sanding and polishing the old wooden floors. During this time I have worked closely with Nasser and his team. I have found Nasser to be extremely helpful, friendly and courteous to work with. He and his team have put a tremendous amount of effort and care into the work they have done and the result is fabulous. Nasser has been readily available and is easily contacted, always willing to meet onsite to discuss any query that may arise. Nasser and his team have advised us in their professional capacity about colours and preferred options for all aspects of the project and we are grateful for their input. The team have always kept their disruptions to the patrons of the hall to an absolute minimum and a great effort has been made at all times to clean up after each day's work. I would personally highly recommend Nasser and his team to any perspective client and am willing to be contacted for a verbal reference should anyone wish to do so. 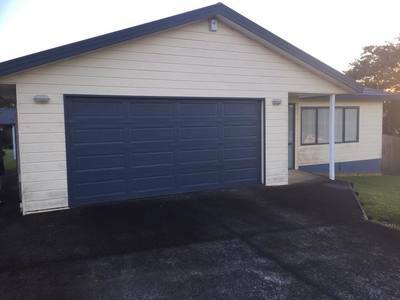 In February 2007 we contacted Kowhai Painting Company to quote on painting our two bedroom 1950’s bungalow, roof and single garage. They were professional from the outset. Nasser arranged a time to come to the house almost immediately. When providing the quote he took time to investigate the job and explain some of the particulars involved in painting a house like ours. Although we had two other quotes that were less expensive we determined that Kowhai had other intangible qualities which were worth paying for. 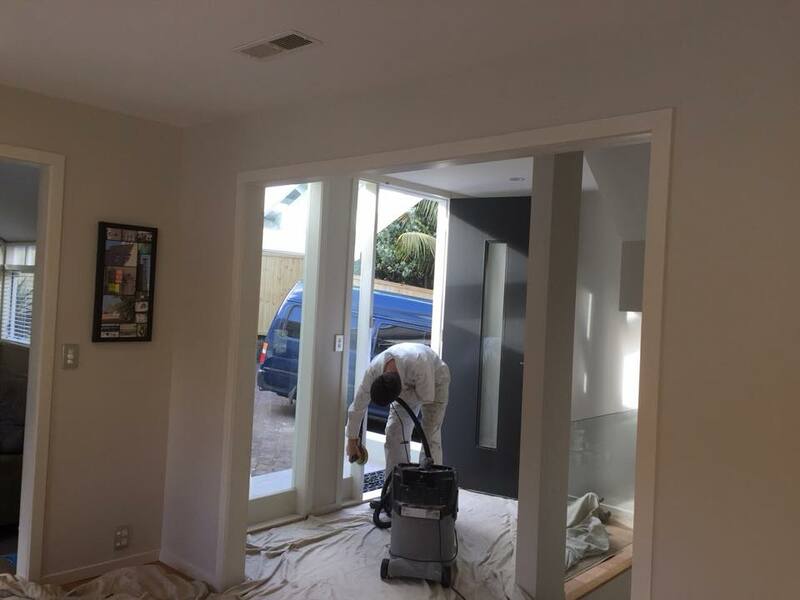 They started the painting job within two days of our acceptance of the quote and worked solidly to complete the bulk of the task well within the estimated time frame. We made two amendments to our requirements during the job which Nasser and his team attended to happily. We were consulted with throughout the process and asked if we had any issues. No question or comment was ever disregarded. Due to a delay in the construction of the garage Nasser and his team worked a full weekend to ensure our job was completed in a timely fashion. This level of customer commitment is rarely seen in the trades and we were extremely impressed. I have provided Kowhai's details to a professional interior designer because I am so impressed with the work they have done and the way in which they went about their task. When we needed to re-paint our new kitchen, we got in touch with Kowhai Painting Company Ltd. It was a “shot in the dark” as our previous experience with painters was extremely limited and we didn't know what to expect. Within minutes of phoning the company we received a return call from Nasser and he arranged to come to our house that day. He arrived at the appointed time and very quickly assessed the requirements of the job and made a commitment to start work the next day. He impressed with his professional approach and realistic attitude to our requirements. As a result we extended the deal to painting the dining and lounge rooms as well. Once the job was started - at the given time what's more - his team also demonstrated a professional attitude. The painters were polite, clean, tidy and co operative as well as being as unobtrusive as was possible given the nature of the job. We have been more than satisfied with the outcome, would have them back again and consider we have received value for the money we have spent. I had Kowhai Painting Co Ltd paint the ceilings and window frames throughout the whole house which was completed to my full satisfaction. I also asked for the varnished doors and door frames to be cleaned back and to be stained and re varnished. As these doors had not been touched in 42 years, they were in a very poor state. The transformation was amazing. They now have a beautiful shine and fresh look. The staff were very friendly and obliging, nothing was too much trouble. Without any hesitation I can recommend Kowhai Painting Co Ltd to do a good and thorough job. Kowhai Painting Company has been the preferred painting contractor at Waikowhai Intermediate school for the past four years. The painting work carried out by the team during this time has been of the highest quality. Attention to thorough preparation before application of final coats has been feature of their work. On the very few occasions that there has been faults with the finished job, Nasser and his team have been very quick to return and rectify the problem. When the school has been the target of graffiti vandals they have also responded quickly to ensure that the school is presentable for students to return to. This has often meant working late nights and Sundays and this level of service has never been a problem with them. I have found all quotations presented to be fully inclusive of all work to be done, there have been no hidden extras, and prices quoted have been fair and reasonable. I have no hesitation in recommending the Kowhai Painting Company and Mr Nassery to other schools who may be considering painting work. We have had the pleasure of dealing with Mr Nasser Nassery of Kowhai Painting Co Ltd in 2005 and 2006. We are happy to recommend him and his employees.We found Nasser to be a complete professional, furnishing us with references, fully written quotes and providing advice and information regarding paint colours and finishes. He also kept in regular contact with us regarding start times and dates and gave daily updates on the work. All the work contracted was carried out extremely efficiently to the very highest standard. We have been absolutely delighted with the results that Kowhai Painting Co achieved for us.We found Nasser’s staff very polite, always punctual and completely trustworthy. Again, we cannot recommend Kowhai Painting Co highly enough; in today’s competitive marketplace decorating companies need to be sharp, well-priced and professional – Kowhai is all that and more. We are more than happy to offer verbal references for Nasser at any time also. We are very pleased with the workmanship, honesty & politeness of the crew. They have done an excellent job, the house looks brand new and have had great feedback from the neighbours & visitors. I would recommend this company to anyone wanting a 1st grade job done. We thank you for the excellent painting work of the outside of our house, and for the efficient manner in which it was completed. It is a pleasure to deal with a company that keeps its promises both on time and performance. We cannot speak too highly of the staff you employ; they were courteous, efficient and seem to be 'workaholics'. We would have no hesitation in recommending your company to friends or business acquaintances. Please feel free to use this letter as a recommendation of your staff and services. Our thanks and regards for a job well done. Kowhai Painters trade men have been working on some of our commercial and domestic properties throughout Auckland. Their service and courteous professional workmanship made us use them again. I have no hesitation in supporting and recommending Nasser Nassery manager for the Kowhai Painting Company. 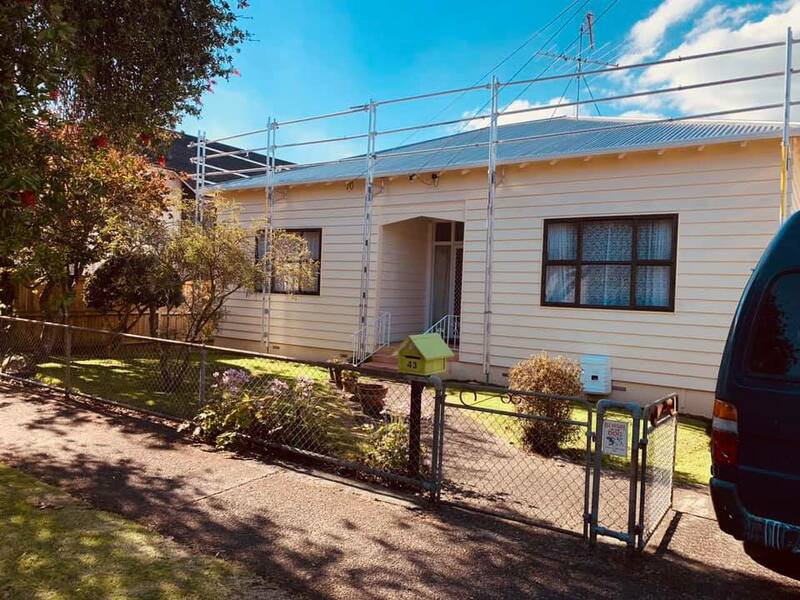 The referral below was volunteered, not requested, and is expressive of our genuine appreciation of the services provided by Kowhai Painting Company Ltd.
We recently engaged the Kowhai Painting Company Ltd to paint the exterior of our dwelling. It is a two storey dwelling with much of the roofing pitched at 45 degrees. The exterior was in a very poor state after 15 years of neglect, being badly faded / lichen infested & some seams in the exterior wall needing resealing. Due to the demands of employment and lack of knowledge in this area an independent Building Consultant was engaged to obtain quotes and supervise the project, this including other external maintenance issues outside of the duties required from the painting contractor. Kowhai's quote was competitive and their services were engaged in early April. Once the final colour scheme had been approved, progress to completion was rapid. Chemical cleaning and water blasting was completed within a day of commencement albeit a long day. For the first couple of days following this, probably mindful of possible April weather conditions, a "large" team was on site to perform the sealing and application of the first coats to all external surfaces. A reduced team then applied the final coat and attended to the "finer" details. The work was completed expeditiously without any sacrifice in professional pride and integrity. 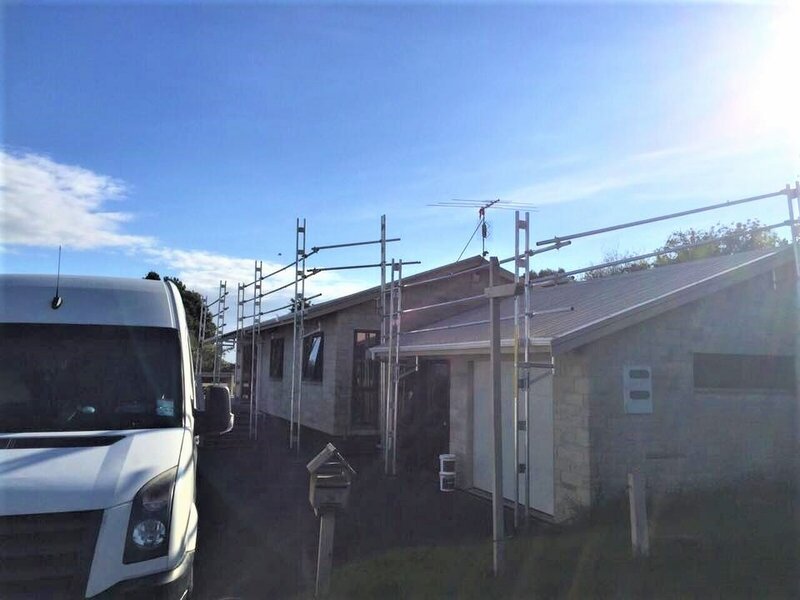 Potential problems with the coordination of this work with other external maintenance/contractors did not occur to the extent that Kowhai made available some of their equipment/staff at times to facilitate progress. At all times Nasser Nassery (M.D. of Kowhai) seemed to be on site, or close by, to oversee the performance of his employees. Nasser and his staff displayed a very professional attitude during the course of the project. Any concerns raised either by myself or by the Consultant were listened to, discussed, and acted on promptly where required. The work was completed quickly but, in saying so, should also state performed by people who took pride in their work (cared) and the result, even in these early days, was much better than we expected. Access to the interior was required at times with the painting of external doors a late addition to the project & we have no reason to doubt the honesty & integrity of all personnel involved with the project. Despite their close proximity to the house damage to garden plants (and other surfaces) was minimal. 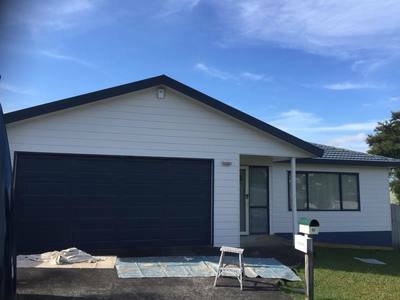 The work was completed to a very high standard and I would have no hesitation in recommending Kowhai Painting Company Ltd to any person considering engaging their services. From a personal perspective, as finances permit, they will be the first contractor asked to submit quotes for the next step internal redecoration. At this stage I cannot comment on after sales service as there has been no requirement but have no doubt that the same level of professionalism & integrity will be displayed in addressing any such issues should they arise. It may be worth noting that the Consultant, in response to a question from the writer, complimented Kowhai's performance and stated, "I would certainly recommend them". Needless to say we support this observation. I recently employed the Kowhai Painting Company to paint the interior of our showroom, which is an essential part of the company. The presentation of this area is to be of a high standard as it sets a benchmark for our customers to follow and is a key area for our internal staff as well. The company presented me with a very reasonable quotation and went out of their way to fit in with the strict deadlines we were running. The deadline of the showroom required various separate areas to be painted at different times. I found they made sure they were available to fit in with me. The painters were very approachable and the workmanship was to a very high standard. I have no hesitation in recommending them. 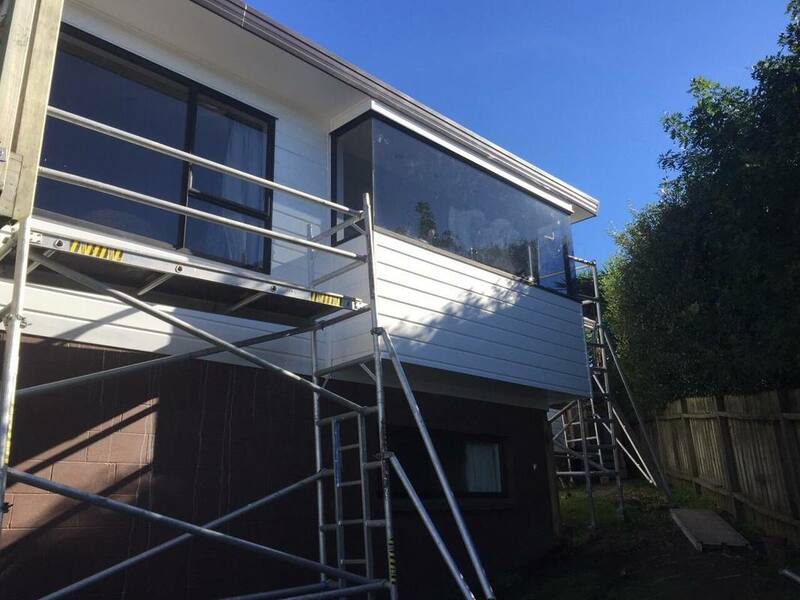 Our home at 2/87a Bassett Road, Remuera, Auckland was recently painted by this company and we were very impressed by the excellent standard of the work and the quality of the workers. Nasser and his cheerful team showed every consideration to us and kept the disruption of our daily life to the absolute minimum. We felt very secure about their honesty and often left our home open to their care when we were away. The team was punctual and we were always contacted by phone prior to their arrival. We were happy with the cost of the painting, which reflected the quality of the work. After they had finished, the team did in an excellent job in cleaning and tidying up leaving the property immaculate. We have no hesitation in recommending Nasser and his workers from Kowhai Painting Company to anyone who wants an assurance of a professional job well done. We are very pleased to write in support of Mr Nasser Nassery and his team of painters from Kowhai Painting Company Ltd.
Our home at 2/87a Bassett Road, Remuera, Auckland was recently painted by this company and we were very impressed by the excellent standard of the work and the quality of the workers. Nasser and his cheerful team showed every consideration and kept the disruption of our daily life to the absolute minimum. We felt very secure about their honesty and often left our home open to their care when we were away. The team was punctual and we were always contacted by phone prior to their arrival. We were happy with the cost of the painting, which reflected the quality of the work. After they had finished, the team did an excellent job in cleaning and tidying up, leaving the property immaculate. We have no hesitation in recommending Nasser and his workers from Kowhai Painting Company to anyone who wants as assurance of a professional job well done.